Outstanding international students are invited to apply for a PhD scholarship in geography at Uppsala University. The funds for this fellowship are available for four years. Applications are welcome before March 15, 2019. Uppsala University, founded in 1477, is Scandinavia's oldest university and one of the largest. The University is among the foremost research environments in Europe and has extensive library facilities and data resources. It grants around 300 doctoral degrees each year (see www.uu.se). 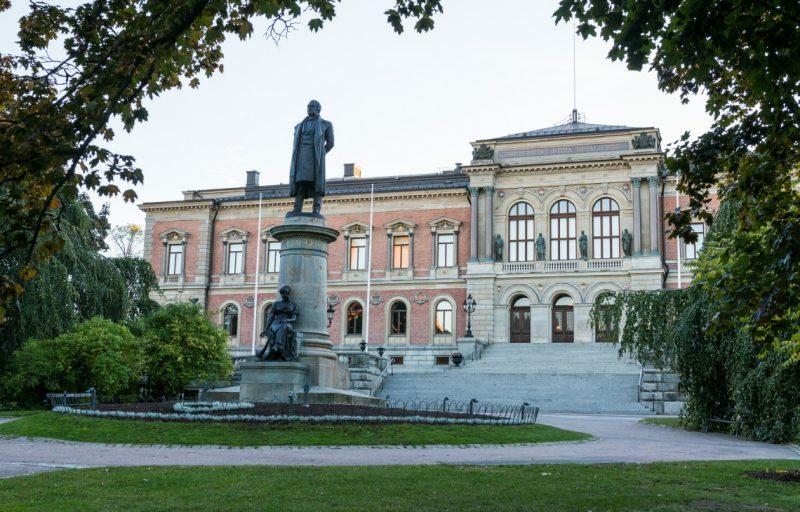 The University is located centrally in lively and historic Uppsala, Sweden's fourth largest city, and only 68 km north of the capital, Stockholm. Applications are invited for 4 fully funded PhD candidate positions in the Department of Social and Economic Geography's doctoral program in human geography. The positions are available from the 1st of September 2019 and offer full funding for four years. Three of the positions are open to students with experience in all areas of human geography; one of the positions is connected to a specific research project with its own knowledge requirements (see "Qualifications expected" below for more details). The doctoral program is designed as four years of full-time studies. There are two main components of the program: course work (60 credits) and work in connection with the PhD dissertation, including seminars, theoretical work, data collection of different kinds, problem analysis, thesis authorship and supervision by highly qualified researchers (180 credits). Doctoral students are provided with their own workplace, computer, and some research expenses, and have access to excellent research resources and libraries. The Department is international in focus, and good oral and written skills in English is required. Applicants must also be willing to learn Swedish rapidly. Qualifications expected: To be considered for admission to postgraduate studies in Human Geography, the applicant must have completed a Master's degree, equivalent to 240 Swedish university credits (including at least 60 credits at an advanced level) from a recognised university or third level institution. Specific entry requirements for admission to postgraduate studies in Human Geography are the completion of an equivalent to 90 Swedish university credits in Human Geography, or other academic qualifications assessed by the recruitment committee to be of an equivalent level. The project team integrates several unique geospatial databases to analyse variability in travel across different temporal and spatial scales, between urban and rural areas, and with attention to the socio-economic composition of the potential travellers. The project is managed in Sweden, but the study will be done in close collaboration with international researchers. The project aims to enhance public transport planning with the larger goal of improving social integration. Application procedure: A recruitment committee will make an initial selection of applicants through a review of submitted documents and contacts with referees. The selected group of candidates will then be invited to interview with representatives of the department. The interviews will take place during April or the beginning of May. Candidates will be informed of the results of the selection process at the end of May. Criteria for assessing applications to the PhD program are described in a separate document here . The rules governing the process can be found (in Swedish) in Hgskolefrordningen 5 Chapter 1-7 and in University rules http://regler.uu.se/.